When you built a mud tank, you may need a lot of mud tank accessories, such as mud tank union, fittings, valves, connectors, flanges, pipes, etc. 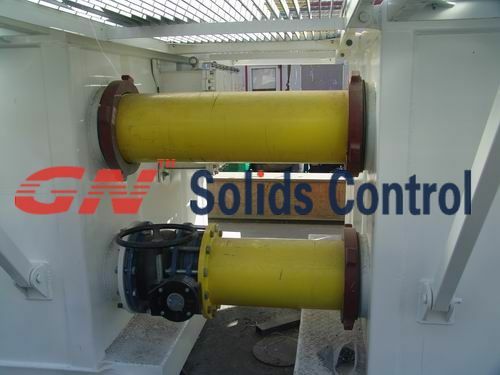 Mud tank unions have been used for years in petroleum solids control systems around oilfield drilling rigs all over the world. Drilling mud fluid systems connecting the steel tanks to the pumps need leak proof and quickly detachable connections for large diameter pipe 4” to 16”. There are basically two types of unions used. The air type with the tube being aired up seals the pipe. The other type is a large solid o-ring which locks down on the O.D. of the pipe as the hammer nut is tightened. Air union is also called pneumatic union, since GN do not use such union in the mud tank design, we would like to introduce hammer union mainly. Hammer unions are one of the most common “quick connection” methods used in the oilfield for joining together components in a temporary pipe work system. They also have expanding applications in fixed installations and also for industrial purposes. A hammer union comprises a thread end, a nut end and a hammer nut which, when cinched up, compresses a composite seal assembly thereby preventing leakage. The seal assembly comprises a metal insert of a size to pass into the seal groove of conventional hammer unions and a small seal acting between the insert, the thread end and the nut end. The small seal is conveniently an O-ring and is of a size that is compressed when the seal assembly is inserted into the thread end of the hammer union, thereby preventing the seal assembly from falling out of the threaded end when it is inverted. Except for union of mud tanks, mud tank connecting lines and pump suction flanges, fittings and cleaning hose, nozzles, etc are also needed. 6”, 8”, 10”, 3” high pressure gate valves are widely used in GN mud tanks, maybe different manufacturer will use different size and type valves when design. 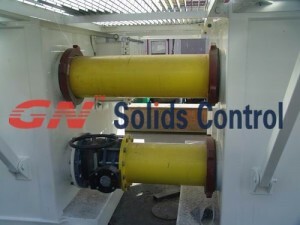 For more mud tank accessories, pls contact GN solids control. I am looking for two old style hammer wedge bar style mud tank gates for draining the tank. Do you have any in stock or in the “Bone Yard”?? ?